It's hard to believe another month is gone! I am not sad to see January and February leave though. March just sounds like Spring- or at least Spring is on its way. We had another beautiful weekend here in Kentucky. 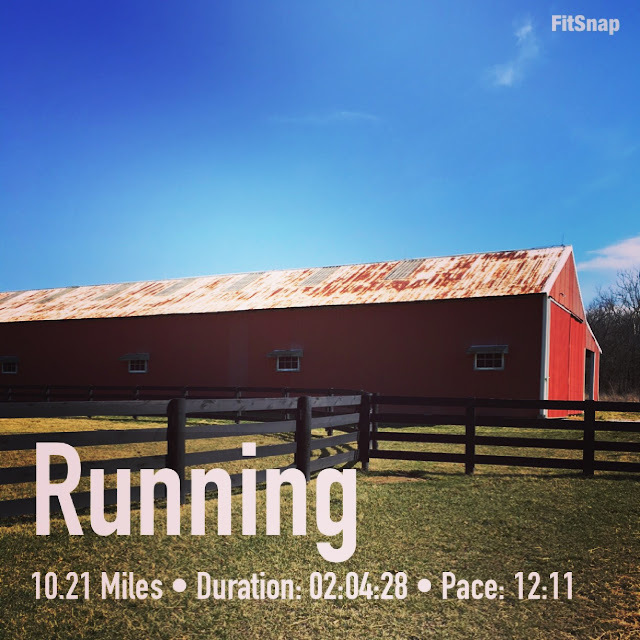 I ran 10 amazing, glorious, wonderful miles. I loved every single second. My pace was even better then usual too, woohoo! 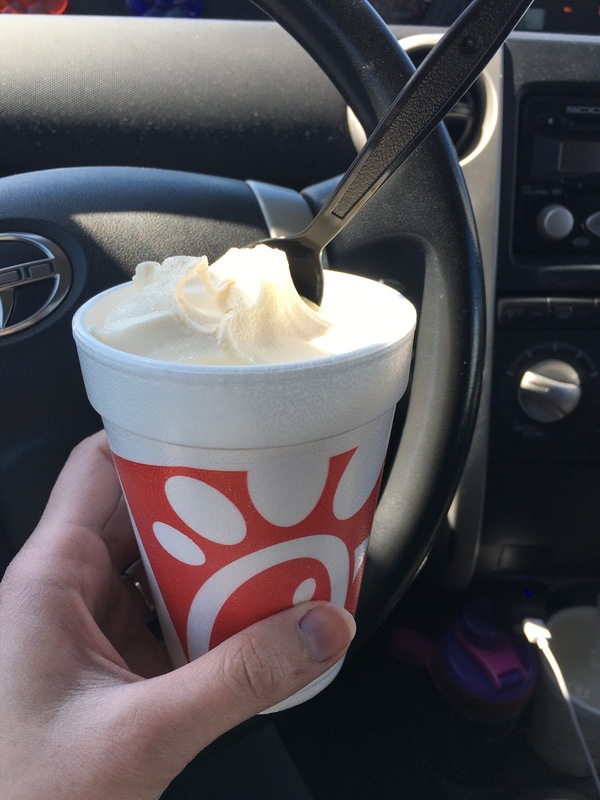 I definitely did not need yet another ice cream addiction, but the chic fil a 'ice dream' is amazing! I don't go there often, but when I do I only get a diet lemonade (also to die for). After my 10 miler, I really needed ice cream, so decided to try their's. One of the best things I ever did. My running mileage so far this year has been the worst since I started running a few years ago. January was 29, and February was only 27 miles. I guess when my life gets crazy and depressing, I just stop. I've gotta get out of this though and get back to what I love! I did decide to switch my marathon on April 16 to the half. I just don't have it in me to train for a full right now. I took a spin class last week. I love my spin class. Usually. I know I've talked about the Thursday night instructor before, and how horrible he is. But he hadn't been there for months, so I assumed he was gone. But apparently, he came back. Do you know, I did not pick up my sweat towel even once? I didn't even work up a sweat! Halfway through he said "I'm about to give you all a break". I almost laughed out loud. He doesn't actually ride the bike, he just walks around the whole room, telling us what to do. He'll stand in front of each person and just say kooky stuff. Sometimes he'll bang on the wall over and over and over. As if he's keeping rhythm or something. Then he'll shake your bike, who knows why. Ughhh! It's definitely back to Tuesday night's for me! 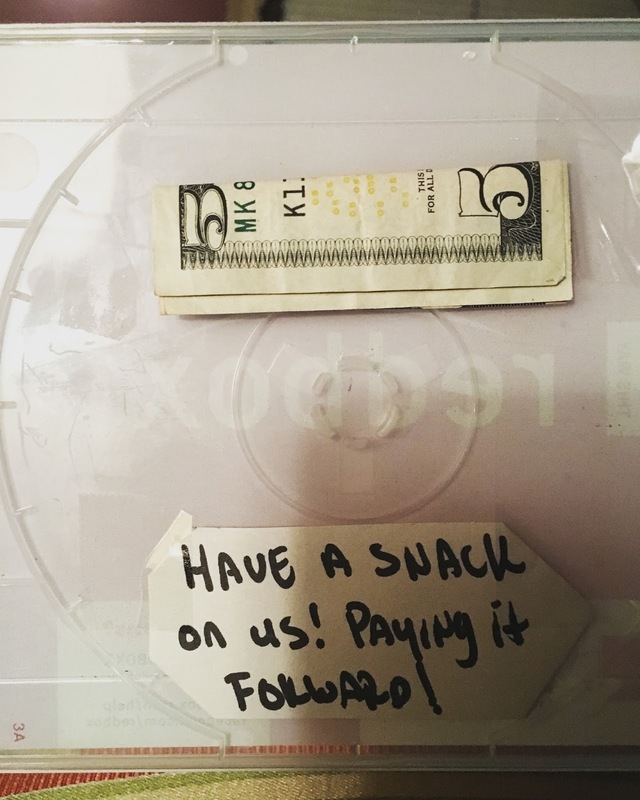 Finding this random act of kindness in my Redbox movie was a great surprise. I've never even thought of doing this before. I did keep it in there though, for the next person. Favorite thing to eat/drink at Chic Fil A? What was the last RAOK you received or how did you pay it forward? The last RAOK we paid forward was around Christmas when we paid for the food of the people behind us in a drive thru. Chic Fil A is a crowd pleaser at our home. We love it all! Today I will be going there to get lunch for my son and I. I will be having their chicken soup. Love it! I've never had their chicken soup, will definitely try that next time. April, that is so sweet of you to say, and you just made my day. Thank you! I hate a bad instructor. I had one when I went to Jazzercise that would do the SAME ROUTINE EVERY DAY!! I can't handle that. She is the reason I stopped going. One person can ruin it all. I am in the same boat as you. I have been really down lately and therefore have run the lowest mileage ever since I started running these past 2 months. Maybe we can encourage each other somehow. Wtf at that spin instructor? Not riding the bike and just walking around? That's bizarre and I wouldn't want to go back to that class either. The type of instructor definitely makes a difference but I've never heard of anything that weird. I hope you find the motivation to get back to your normal mileage! Things have been not great for me lately but I've kept up my running because honestly it's the one thing I *can* control right now. It's definitely become an escape for me, even when it's the last thing on earth that I feel like doing. 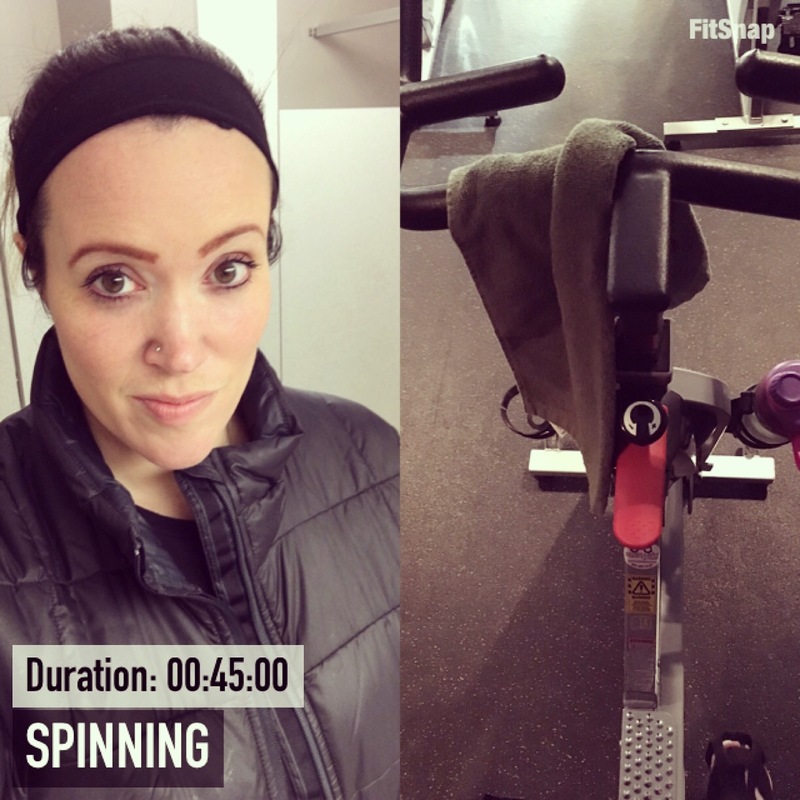 That spin instructor sounds awful! Your ten miles were fast! :) And if you run that long that quickly ice cream is essential! I am excited for spring too! I miss bright blue skies. Sorry to hear you are going through a rough patch. I try to focus on small things I can do when I am down instead of looking at everything together. It's overwhelming. And that spin instructor sounds miserable.